Waltham, Mass.—March 26, 2013—Amongst notable industry speakers including Warren Buffett, Al Gore, Steve Levitt, Eric Ries, Rosie Rios, and a crowd of heavy hitters from the payment and financial sectors, BlueSnapTM was named this year’s PYMNTS.com 2013 Innovator award winner for the Best Comeback Story. At a live ceremony hosted by The Office’s BJ Novak at Harvard University, BlueSnap was awarded the Gold medal for its new Automated Subscription Reminder technology. BlueSnap has been offering the ability to maximize recurring revenue with Smart SubscriptionsTM for several years. 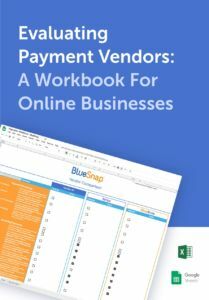 BlueSnap recently introduced a new Automated Subscription Reminder technology that allows merchants to push past the barriers of card only subscription functionality, enabling merchants to support almost any type of payment method as a subscription option, including local payment types and even wire transfers.